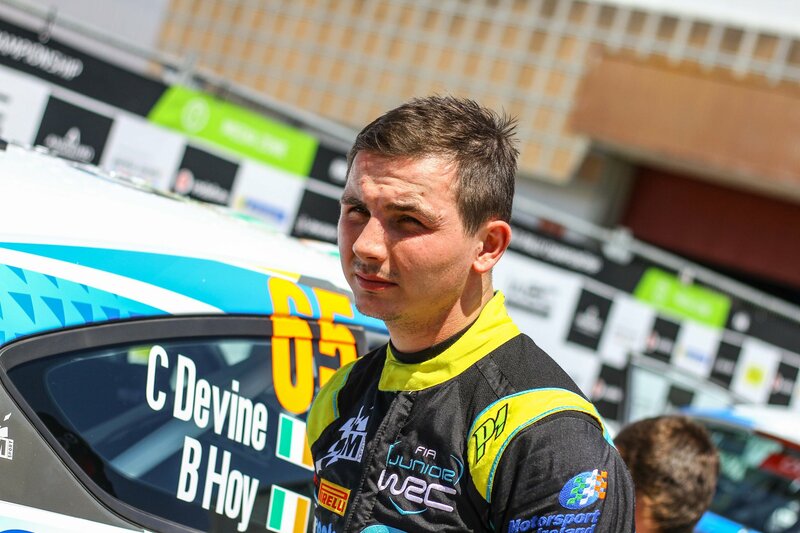 There was heartbreak for Callum Devine as he had to retire in the closing stages of Rally Portugal, round 3 of the Junior World Rally Championship (JWRC). 24 year old Callum, the current Motorsport Ireland Young Rally Driver of the Year, had been driving a superb event, comfortably holding 2nd place until he damaged the steering on his Ford Fiesta R2T on the 18th stage of the 20 stage event. The 2018 JWRC is run in association with M-Sport and each competing crew uses identical Ford Fiesta R2T cars. Points are awarded for overall places as well as for each individual stage win. The remaining pair of JWRC rounds will be Finland and Turkey, both gravel events, with Turkey being of particular interest as double points will be on offer. Rally Finland, round 4 of the JWRC takes place from the 26th-29th of July and will be Callum’s next rally. To keep up to date with Callum throughout 2018 and beyond be sure to follow him on Facebook, Twitter and Instagram. Callum’s season in the JWRC is supported by Motorsport Ireland, Sport Ireland, the Team Ireland Foundation, Fyth and Premier Car Parts.